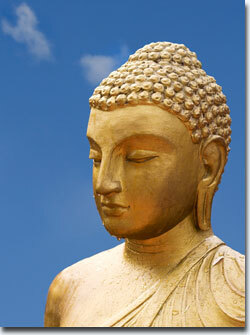 The Orkney Buddhist Group meets every Friday at 6 or 6.30pm. Please call the number below for the location of this week’s meeting or check the Events section of this website. On the last Friday of each month, March to October inclusive, we meet in Kirkwall at 6.30pm, for an evening of Teaching and Meditation with Bhiksuni Yeshe Zangmo. The topic for Yeshe’s teaching will be posted in the Events section of the website. We are a small, friendly group and everyone is welcome, you don’t have to be a Buddhist. On the other three Fridays in the month throughout the year, when Yeshe is not with us, we begin with a 20 minute guided meditation followed by a discussion session. We then take a break for tea or coffee and some informal discussion. This is followed by a short silent meditation session. You can meditate sitting on the floor, in a chair or however is comfortable for you. We do have some cushions but please feel free to bring along your favourite. We do not make a charge for the session but a donation of £1.00 is suggested to help cover our costs. If the weather is bad please call before coming in case we have had to cancel.